Are you smellin’ what Rob Enderle is cookin’?! If so, please seek medical attention immediately as smelling what Rob Enderle is cooking can lead to nausea, burning of the nasal passages and the condition known as “grandma arms”. Apple, of course, does not have a strategy, secret or otherwise, to “kill the Mac”. Tim Cook has been pretty clear of late that the future of the PC is much more like the iPad Pro than it is the MacBook Air. Yes. If you mean even thinner with more battery life and a higher resolution screen. But this reminded me of a very similar strategy by Novell. Rob’s tactic of damning Apple by comparing it to companies that declined and were subsequently purchased is adorable. Even with Apple’s traditionally low P/E ratio it’s worth so much it would have to be acquired by Buy n Large, the Weyland-Yutani Corporation or a third imaginary company because only science fiction can conceive of such a scenario. The other is the Mac which, while down in the most recent quarter, has beaten the PC market as a whole over the last few years simply by growing. The way Microsoft has sold Surfaces is by going to the break room refrigerator, finding the lunch bag that says “Windows OEMs” on it, and consuming all the contents. “You say you had a lunch and, yet, you are unable to furnish any evidence that said lunch ever existed.” The Macalope is normally against gaslighting but Windows OEMs are largely a collection of crap shovelers and Microsoft’s devices are better so he’ll look the other way in this instance. 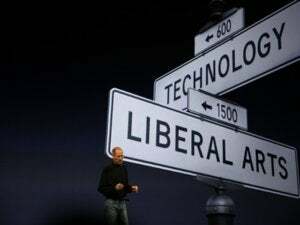 He needs to find a way to revitalize the company otherwise it is likely Apple’s board will see him as the problem to fix. Yes, surely Cook is on the verge of being ousted any day now. Well, what can we say about this? Enderles gotta Ender.